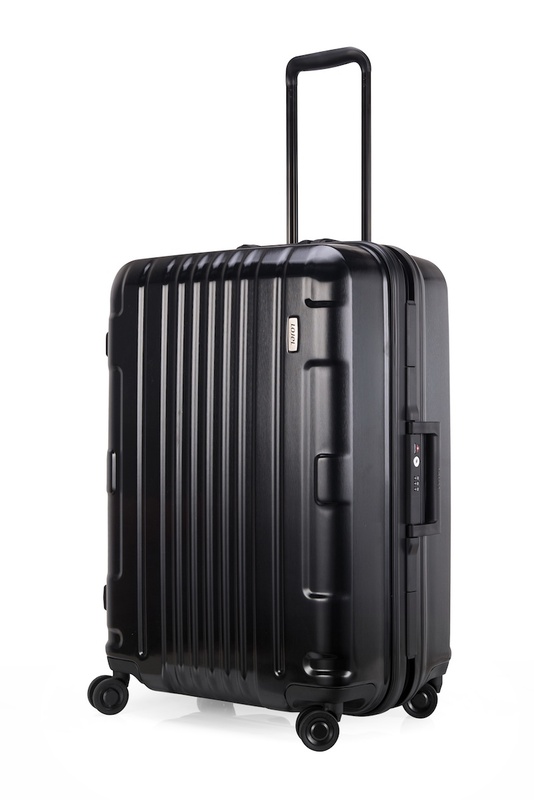 Home Uncategorized	Checked Luggage That Works! 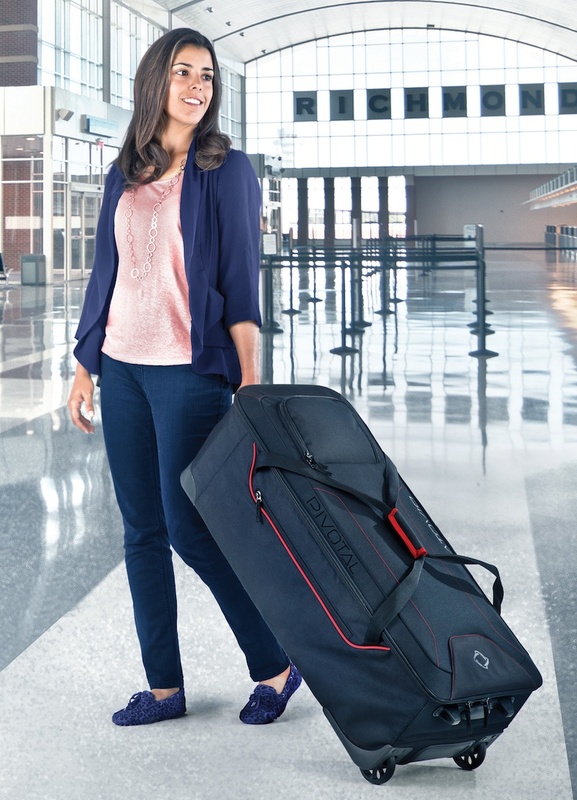 Checked luggage is a maze of options, and it is hard to pick the right companion for that golf bag or travel in general. Checked luggage has a large price range, from $150 to $2,000 per piece. Do you get what you pay for? That is difficult to say, as most luggage companies do not support side-by-side comparisons, they simply rely on Internet ratings or sales information at luggage stores. To sort through the claims, we performed a comparison test of four different pieces of luggage in the checked luggage category. They were packed, secured, locked, entered and exited from the car, and rolled extensively in directional treks. That is what the bag has to do on a trip, so we gave them a test drive. Bags were selected after viewing and discussions with retailers, Internet ratings and talking to travelers. Moreover, without their knowledge, we compared not only different types but also different price points. Moreover, we found some unique bags for unique travels in the process. Here is how each one fared in our assessment. The Eagle Creek Tarmac AWD is great combo of rolling and packing options. The Eagle Creek Tarmac 25 AWD is the optimal size everyday bag for a week or less. It is durable, extremely easy to grab and roll. It expands a good deal more to 15% additional capacity when needed. The polycarbonate shell is combined with their Bi-tech fabrics, so it is combination of a rigid frame with soft-side materials. The interior also works well with their proprietary small bag system an added feature if you like to pack that way. Added features like a coat keeper and a piggy bag clip for securing another bag make this a feature-laden carrier. 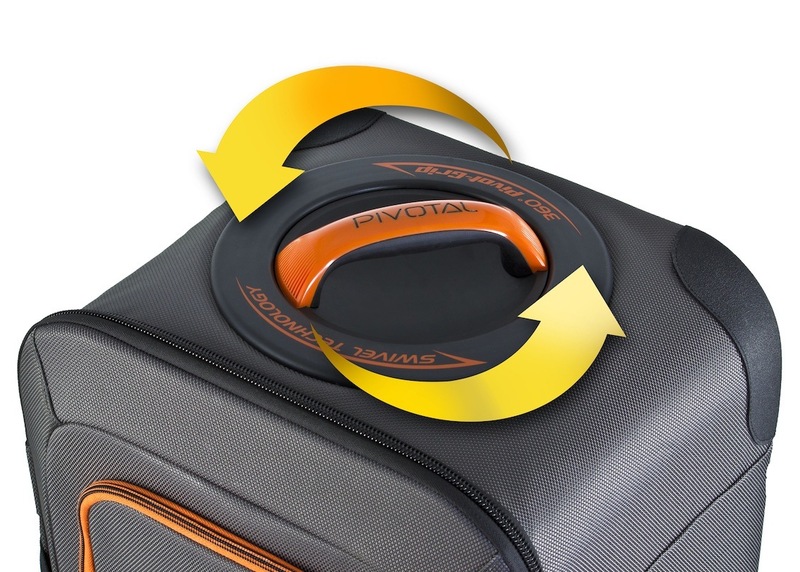 The Pivotal Soft Case is easy to roll due to length and the pivoting top. Duffle bags are resurging in the last few years, but protection is lacking and rolling is difficult. However, if your travels are recreational in nature, the Pivotal Soft Case Gear Bag is the answer. The rugged frame and bottom protect more delicate items while clothes and other soft goods can be placed just about anywhere using the internal support system. Convenient straps and handles make this easy to get in and out of the vehicle. The Pivotal handle, an award-winning design that allows easy direction changes, in combination with the longer length makes rolling the bag a breeze. There are only two wheels in the bag, yet there is a bumper system that enables the bag to sit upright. The Lojel Kozmos protects your valuables, yet unlike other hard sidders has a nice divider system to keep the contents tidy! 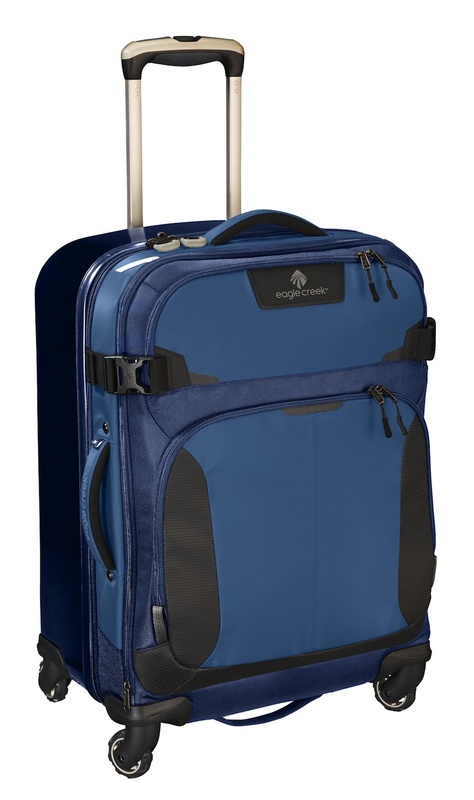 Hard-sided luggage is now a viable lightweight option, and Lojel has impacted the market in Asia and Europe and is gaining market share in the U.S. For the week or longer trip, the Lojel 29 inch Kozmos Magnesium, a hard-sided spinner, offers plenty of room and contents protection. The construction combines advanced aluminum, mesh, and polycarbonate to reduce weight. The interior divider system separates items unlike many hard-sided carriers with no internal separation. The nifty built-in lock & latch system simplifies security and is TSA approved. Colors include aluminum, gold or black finish. 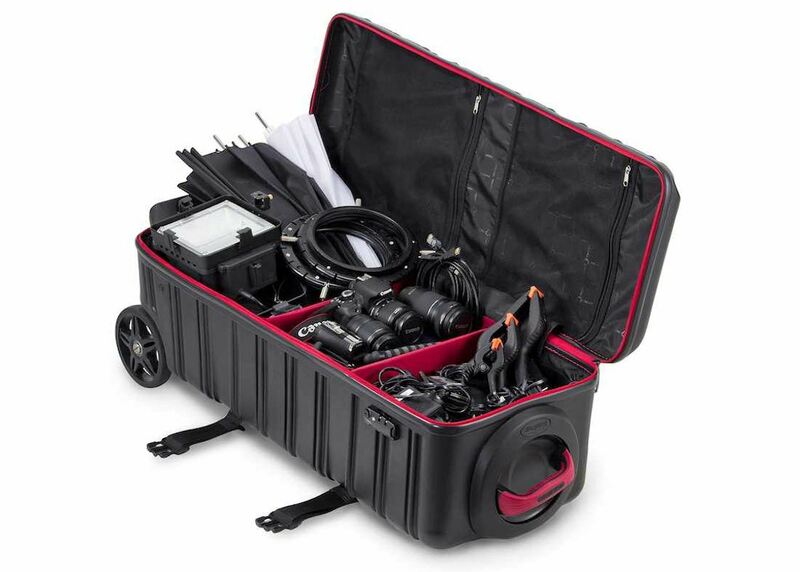 The Pivotal Transport Case is the ideal carrier for serious camera or recreational items. Carrying work or heavy recreational items need extra protection. For photography, fishing, hiking or other bigger gear, then the Pivotal Transport Case is the semi-trailer truck of luggage. The case comes in In 41 and 44-inch lengths, so expect extra expense for an oversize item, yet for people who travel with this type of gear the protection is worth it. This bag combines the hard-shell case with extra external nylon straps for security and compartment dividers to keep goods secure. Rolling is easy with the two large wheels combined with the Pivotal, rotating handle.